Offering you a complete choice of products which include nutmeg oleoresin 30% voc, cardamom oleoresin 40% voc, celery seed oleoresin, clove bud oleoresin 24% voc, ginger oleoresin and ginger oleoresin 30% voc. Nutmeg Oleoresin 30% VOC offered by us is pure and natural. We can also offer the same as per Pharma Standards or any specifications of the clients required. Nutmeg oleoresin is widely used to flavor varieties of cooked foods, confectionaries, puddings, meats, sausages, sauces, veggies, and drinks. Cardamom Oleoresin 40% VOC is extracted by steam distillation from the seeds of the fruit gathered just before they are ripe. The dark brown oleoresin is a yellow liquid with a sweet-spicy, warming fragrance. It is non-toxic in nature and is widely used as a food contaminant. 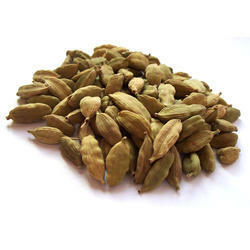 Cardamom oleoresin is listed in the British Herbal Pharmacopoeia as a 'specific' for flatulence and dyspepsia. Widely used as a domestic spice, especially in India, Europe, Latin America and Middle Eastern countries. The oleoresin is employed in some carminative, stomachic and laxative preparations. 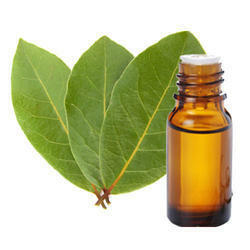 Widely used as a fragrance component in soaps, cosmetics and perfumes especially oriental types. Important flavor ingredient particularly in curry and spice products. 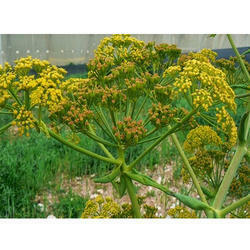 Celery Seed Oleoresin is obtained by solvent extraction of the dry seeds of Apium graveolens of Indian origin. Oleoresins are derived from ripped seeds of Celery. 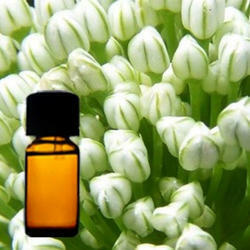 This plant is cultivated worldwide and its volatile oil has strong aromatic flavour. Generally, Celery is known as Garden Celery, Small age or Wild Celery. Contains 1.5 - 3.0 percent of pale yellow volatile oil; 15 – 17 percent of fixed oil is resins. 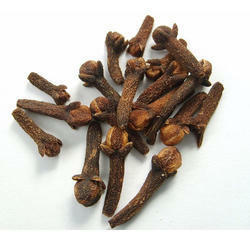 Clove Bud Oleoresin 24% VOC extensively used as domestic spice worldwide. It has been used for skin infections (scabies, athlete’s foot); for digestive upset; to dress the umbilical cord; for intestinal parasites; to ease the pain of childbirth (steeped in wine), and notably for a toothache. The tea is used to relieve nausea. The main constituents of clove oil are eugenol, eugenol acetate, iso-eugenol and caryophyllene. Extensively used as domestic spice worldwide. It has been used for skin infections (scabies, athlete’s foot) for digestive upset to dress the umbilical cord for intestinal parasites to ease the pain of child birth (steeped in wine) and notably for toothache. The tea is used to relieve nausea. 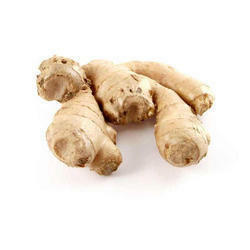 Ginger oleoresin is obtained by percolating the powdered rhizomes of Ginger, Zingiber officinale with volatile solvents. It contains 1-2 percent of volatile oil, 5-8 percent of pungent acrid oleoresin and starch. Oleoresin, commercially called Gingerin contains pungent principles viz. 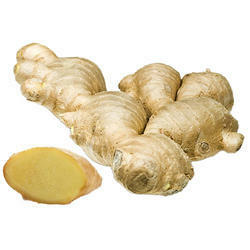 gingerol and shogaol apart from the volatile oil of ginger. 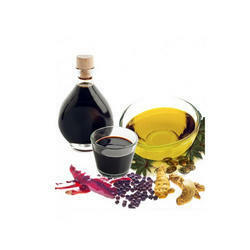 Oil is employed for flavoring all kinds of food products and finds limited use in perfumery. It is used as an aromatic, carminative, stomachic and as a stimulant. Ginger oil is a volatile oil obtained by steam distillation of ginger. The oleoresin is prepared by percolating the powdered rhizomes of Ginger, Zingiber officinale with volatile solvents. It is commercially called Gingering and contains pungent principles viz. gingerol and shogaol apart from the volatile oil of ginger. Oleoresin is employed for flavoring of all kinds of food products. It is widely used as an aromatic, carminative, stomachic and stimulant. Ginger oleoresins also find limited use in perfumeries. with the support of our professionals, we are providing a huge spectrum of Mace Oleoresin 40% VOC. These oils are used as spice and seasoning mixes, for meats, sausages, and other food preparations. Additionally, we are also offering these products range as per the demands of our valued clients. We are offering a wide range of Ajowan Seed Oleoresin to our valued clients. 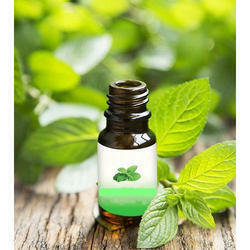 This comprises of volatile essential oil and the nonvolatile resinous fraction comprising taste components. Oleoresin of ajowan is pale green oily liquid with the characteristic aroma and sharp taste attribute. In addition to this, this offered range is ideal for medicinal uses. 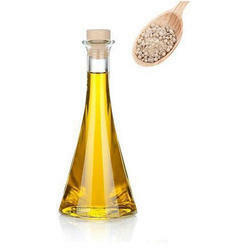 We are famous in this domain for offering an extensive array of Basil Oleoresin Oil to our esteemed clients. This is a thin transparent fluid with light yellow to yellow-green color and characteristic aroma. This oleoresin oil is considered to be a natural medicine, with the power to constitute stimulant drug and renewing, depending upon the physical structure. To fulfill the increasing demands of clients, we are highly engaged in offering Capsicum Oleoresin 10% Capsaicin in the market. Capsicum Oleoresin is extracted from red chili. 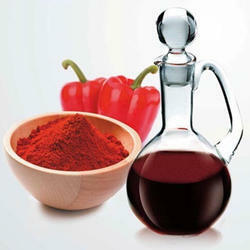 Also, this product is widely used in piquancy food and spice, or as cooking seasoning in restaurant or family. We are presenting the supreme quality array of Capsicum Oleoresin 2.5 % Capsaicin Oil to our esteemed clients. This offered range is extensively used to treat stomach ache that involves poorly functioning stomach muscles and as an antibacterial agent. Also, we are offering this in safe packing options to retain its purity for long. 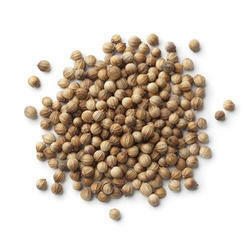 Coriander Oleoresin is mainly produced by solvent extraction from the fruits of Coriandrum sativum. After extraction the solvent is completely removed. This spice oleoresins find extensive use in number formulations, especially in snack seasonings. It is digestive, antispasmodic, anti-rheumatic. 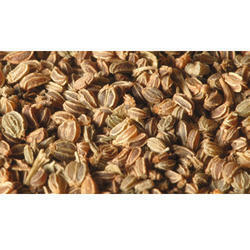 Fennel oleoresin is extracted from dry seeds. This natural product is scientifically proven to be anti-toxic oil. The most valuable application of the oleoresin is in counterbalancing alcoholic poisoning, and it has played an important part in the treatment and rehabilitation of alcoholics. Fennel oleoresin is attributed with being an antiseptic, expectorant, carminative, laxative, diuretic, stimulant, stomachic. It is also considered to be invigorating, stimulating and warming. 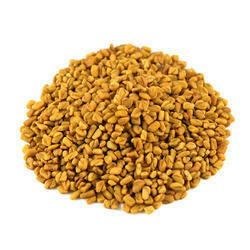 We are involved in offering a large array of Fenugreek Oleoresin. It is derived from the dried ripe seeds of Trigonella duodenum-graccum. The seeds of Fenugreek contain 50 percent fiber of which 20 percent is mucilaginous fiber. In addition to this, these offered ranges are checked by our quality inspectors to deliver only pure and effective range at clients end. 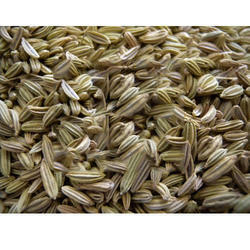 Fennel Sweet is attributed with being an antiseptic, expectorant, carminative, laxative, diuretic, stimulant, stomachic. It is also considered to be invigorating, stimulating and warming. 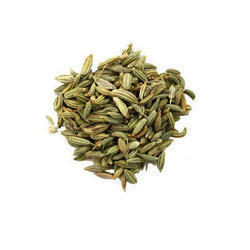 The resins in the fennel contains much essential oil and is widely used for flavoring food. It is also used for fragrance. 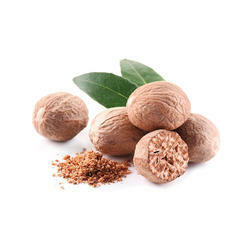 We are engaged in providing finest range of Nutmeg Oleoresin to our most reliable client. We offer these nutmegs at most competitive as well as at market leading prices. It bears a tenacious history of hailed alternative and magical abilities. The oleoresin has the gratifying aroma and slightly warmly taste sensation. We are offering our customers an extensive range of best quality Turmeric Oleoresin 35% Curcumin that has proved to be complete qualitative after stringent checking before the final dispatch. The offered product range has been in wide demand lately for its comprehensive features and usages in numerous industries. We have incorporated the best quality raw material procured from reliable vendors in the making of this range. 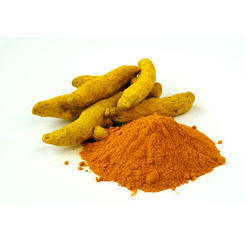 Turmeric oleoresin may be widely used as coloring and flavoring agents for fast foods, jams, canned foods, etc. 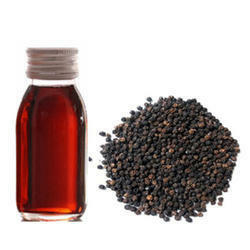 We are providing an excellent quality array of Black Pepper Oleoresin to our prestigious clients. 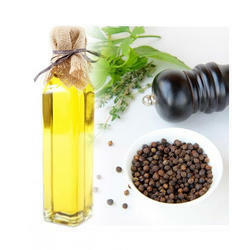 Our offered range of this oil is obtained from properly ripened seeds of black pepper. Dried peppercorns are completely processed with the blackened external covering. Additionally, black pepper oleoresins have heavier flavor. 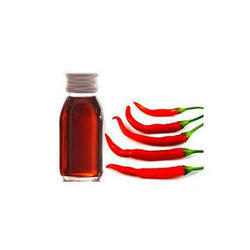 Capsicum Oleoresin (CP) - 6% Capsaicin is processed by extracting the crushed capsicum (Capsicum Annum Linn) with volatile solvents by percolation method. It contains the pungent principles, capsicin not less than 6 percent. 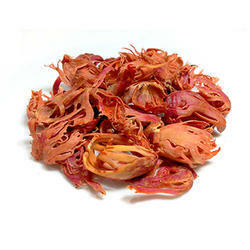 It also comprises of red coloring matter called Capsanthin. Coriander Oleoresin (Green) 1.5 % VOC is mainly produced by solvent extraction from the fruits of Coriandrum sativum. After extraction, the solvent is completely removed. 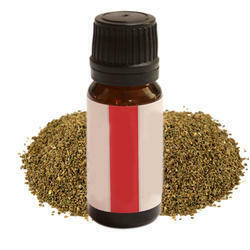 This spice oleoresins find extensive use in number formulations, especially in snack seasonings. It is digestive, antispasmodic, anti-rheumatic. Owing to the support of ultramodern facilities, we have been able to serve our valued clients with an exclusive range of Coriander Oleoresin (Roasted) 1% VOC. The range offered by us is hygienically processed using premium quality ingredients in standard compositions. 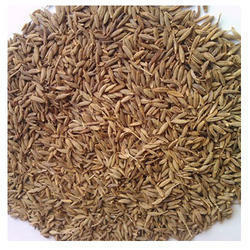 Our company has earned accolades in offering Cumin Seed Oleoresin 10% VOC to the clients. This product is known for its high quality. This product is highly appreciated by clients in the market. 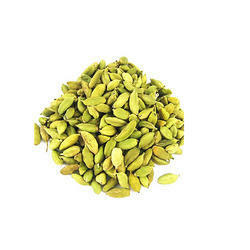 This product is to be used for flavouring of various perfumes and food products. 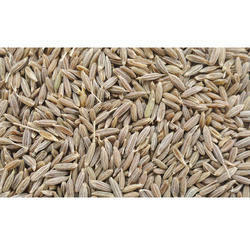 This product is offered in high-quality oleoresin cumin to most valued customers who are situated all-round the nation. 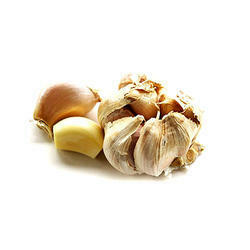 Garlic oleoresin is obtained from the crushed bulb of the garlic, Allium sativum Linn. It has a powerful obnoxious odour due to the presence of disulphides. The bulb contains 0.06% to 0.1% of volatile oil whose active constituents are propyl-disulphide, alliin and allicin. 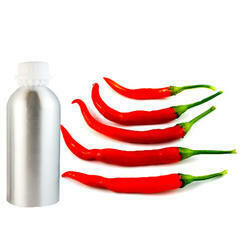 Owing to our expertise in this domain, we are highly engaged in offering Pepper Long Oleoresin. These products are used mainly as a flavouring agent in the food processing industry. 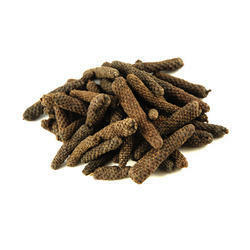 The offered products are obtained from properly ripened and dried black pepper seeds. We are giving these products to patrons at reasonable rates. Our organization set a unique position in the market by providing a wide gamut of Black Pepper Oleoresin 18 % VOC in the market. The offered quality approved collections of the product is produced through steam distillation to get the aromatic, odorous constituent of the spice. We are offering Capsicum Oleoresin (CP) 6% Capsaicin to our client. 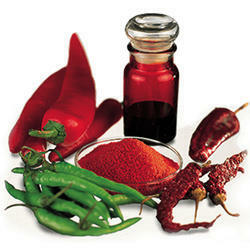 We are among the celebrated organizations for offering a wide range of Capsicum Oleoresin 1% Capsaicin in the market. 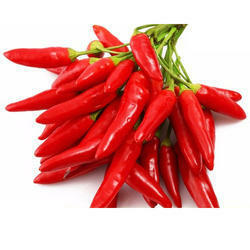 Oleoresin Capsicum is obtained through an extraction process from chili peppers. In addition to this, the oleoresin in the powder is generally extracted with the addition of an organic solvent. This product is a powerful irritant and a carminative, which is also used as a counter irritant in lumbago and neuralgia. It can also be used to treat stomach ache that involves poorly functioning stomach muscles and as an antibacterial agents. Capsicum oleoresin finds major application as a food condiment. Cassia Bark Oleoresin 60% VOC is obtained by solvent extraction of the inner bark of Cinnamomum Cassia followed by dispersion in approved additives. The oleoresin comprises cinnamic aldehyde as the prime constituent, with cassia having the greater quantity. Cassia is a bigger spice with a heavier flavor, generally applied for meat dishes. It is also used to treat diarrhea, nausea and flatulence. 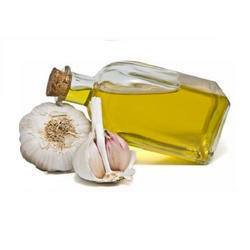 Garlic Oleoresin is produced by solvent extraction from the milled and roasted bulbs of Allium Sativum. After extraction the solvent is completely removed. The obtained product has powerful obnoxious odour due to the presence of disulphides. The bulb contains 0.06% to 0.1% of volatile oil whose active constituents are propyl-disulphide, alliin and allicin. Quality being the prime concern, we offer our clients wide range of Onion Oleoresin that is treasured among the clients for effective usage and wide applications. They are clinically approved and are delivered in varied strength capacities. We are supported by well-developed logistics department that assists us to deliver entire product range in well-defined time frame. We offer Asafoetida Oleoresin for our valued clients. This has a characteristic aromatic order and bitter acidic taste. Apart from this, it is actually a gum oleoresin from the various plants of Ferula varieties. In addition to this, asafoetida oleoresin is used in diluted form. As medicine it is useful for curing colic flatulence. Uses have been mentioned for toothache cure. In cooking asafoetida sprinkled in very minute quantity on fried snacks give an agreeable flavour. 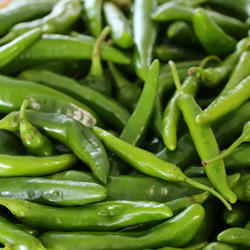 We are involved in offering Green Chilli Oleoresin (3.3 % Capsaicin) to our valued clients. This is widely used to add depth and complexity to beverage flavors. These are also playing an active role in confectioneries and savory concepts. In addition to this, these are checked by our quality inspectors to deliver only pure and effective range at clients end. These are widely used to add depth and complexity to beverage flavours. These are also playing an active role in confectioneries and savory concepts. Used cakes, instant noodle, pickles, canned food, butter food, seafood, meat, pork, sausage, cosmetics, medicine etc. These are used to treat uralgia, postherpetic neuralgia, cluster headaches, joint problems, mouth sores and more. Capsicum Oleoresin 0.5% Capsaicin is processed by extracting the crushed capsicum with volatile solvents by percolation method. It contains the pungent principles, capsicin not less than 6 percent. It also comprises of red coloring matter called Capsanthin. Used to add flavour to various food preparations. 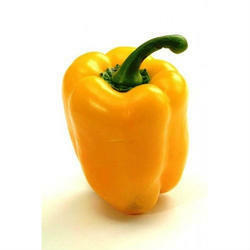 Capsicum-Oleoresin can be used for spice and seasoning mixes, for meats, sausages and other food preparations. Capsicum Oleoresin 5% Capsaicin product is a powerful irritant and a carminative, which is also used as a counter-irritant in lumbago and neuralgia. It can also be used to treat stomach ache that involves poorly functioning stomach muscles and as antibacterial agents. 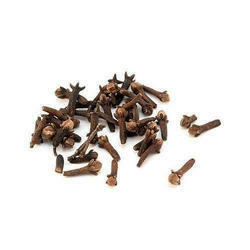 We are offering to our clients a wide assortment of Clove Bud Oleoresin. 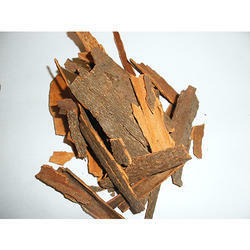 Our provided range of this product is prepared by solvent extraction of clove buds. Also, it can be used for skin infections for digestive upset, to dress the umbilical cord for intestinal parasites to ease the pain of childbirth and notably for a toothache. Extensively used as domestic spice worldwide. It has been used for skin infections (scabies, athlete’s foot) for digestive upset; to dress the umbilical cord for intestinal parasites to ease the pain of child birth (steeped in wine) and notably for toothache. The tea is used to relieve nausea. 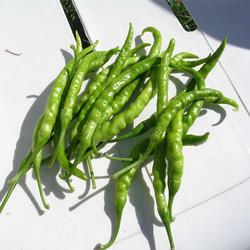 These are the important component of chili peppers, which are plants belonging to the genus Capsicum. 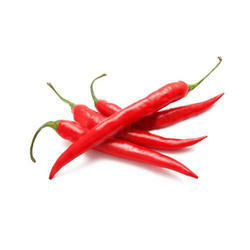 Suitable for mammals, they are produced as a secondary metabolite by chili peppers. 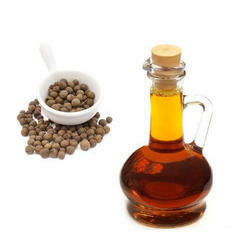 Owing to our expertise in this domain, we are highly engaged in offering White Pepper Oleoresin. These products are used mainly as a flavouring agent in the food processing industry. The offered products are obtained from properly ripened and dried black pepper seeds. We are giving these products to patrons at reasonable rates. Looking for Spice Oleoresins ?